Based on the route it might sound like these two trails are almost the same – but they aren’t. Both trailheads are at Štrbské pleso where a bunch of other trails start, too, and the first, shortest section of their routes are the same. But that’s it. 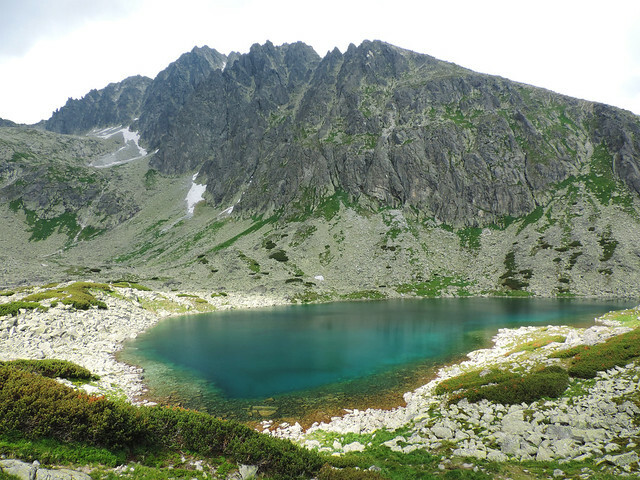 When you have a short rest at Popradské pleso (it’s hard to resist especially on a clear day when the lake reflects all the surrounding peaks), it’s still a long way to go. 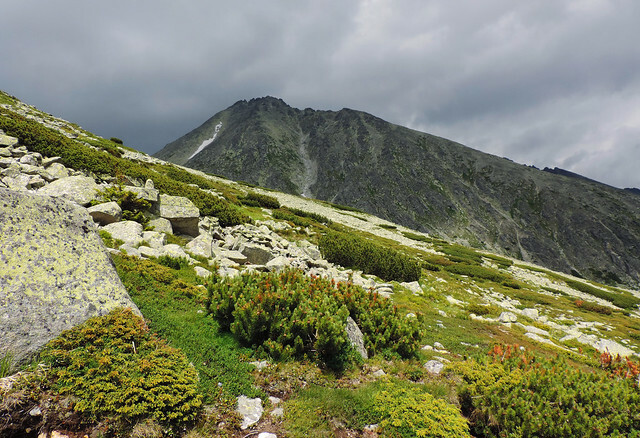 To reach Batizovské pleso, first we had to climb up on the steep, zigzagging trail towards Sedlo pod Ostrvou (Saddle below Ostrva in English). This was the most stunning part of the whole route and it was well worth all the effort. As we were getting above Popradské pleso, we marvelled at all of its amazing shades of blue in the sunshine. We stopped quite frequently not just to catch our breath but also to enjoy the views that were some of the most amazing we’ve seen in the High Tatras. Sedlo pod Ostrvou at 1966 meters was a perfect scenic spot for a longer rest. Then we continued our way on the rocky path towards Batizovské pleso. On the right we could look up to the peaks of the High Tatras and on the left we saw the rest of Slovakia below. We got back to Štrbské pleso on the same route and this long trail really pushed the limits of a day hike. But then… we like pushing our limits sometimes. 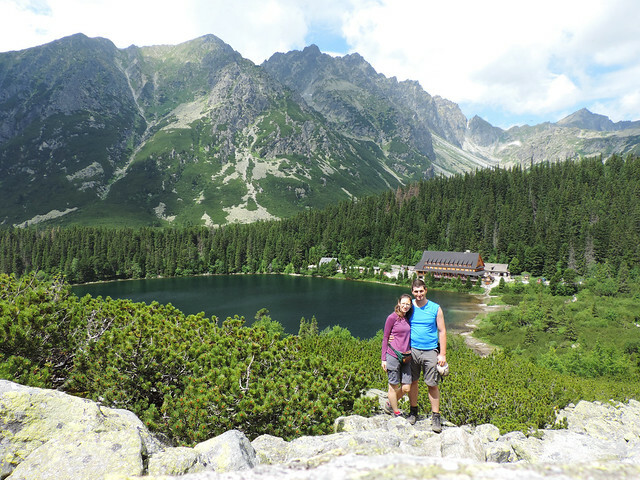 And those views at Sedlo pod Ostrvou and Batizovské pleso were worth it without any doubts. Do you have a favorite strenuous day hike?